Kigali car hire with a driver is one of the best ways to explore Rwanda’s beauty land and the main capital of Kigali. Much as Rwanda might seem to be small country as it appears on the map, it is quite tiresome to explore it alone without a driver, that’s why we highly recommend that you hire a car with a driver who will navigate you through the deepest insights and narrow paths of Rwanda while you sit in the comfortable back seat exploring the scenery of a the Land of Thousand Hills. Your driver can also very drive you through the city on a business or leisure journey without having to worry about the con’s that come with driving in a strange community such as robbery, getting lost, and a related. We have different packages for getting round Rwanda with a Driver; Read more below! With Africa Holiday Safaris, you can choose to book for our chauffeur drives right from the time you land in the country at the airport or from a pikcup location you define to be driven by experienced and professional chauffeurs without having to worry about traveling to and in unfamiliar territory for as you start your safari journey in Rwanda. Beat the jam without having to wait for the generic taxis for pickup, book a chauffeur with Africa Holiday Safaris, your No.1 trusted car agency for transportation in and around Rwanda. Are you staying longer in Rwanda and want to extend the services of your chauffeur, you have the opportunity to retain your personal chauffeur and vehicle reserved for all the time you will stay in Kigali. Our fleet of executive chauffeur driven cars is well modeled to suit your changing demands requirements. Our economy, saloon and luxury vehicles are suitable for up to three passengers, the standard micro bus seats a total of seven passengers and our large micro bus accommodates up to thirteen passengers. 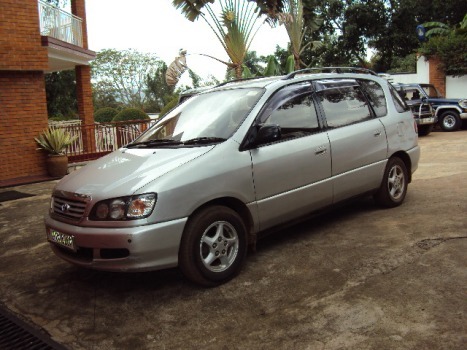 Why You Should Consider Kigali Car Hire with a Driver From Africa Holiday Safaris? Our drivers are professional and experienced with adequate knowledge about the navigation in the city, national parks and other tourist destinations. This recommends and asserts you that they will surely take you to your preferred destination. Another reason to choose our drivers is that they speak a variety of languages that is; English, French and the local languages which assures you that you will easily understand each other and also will help you translate the local languages especially on a local and cultural trip. With our drivers, you don’t have to worry about long distance driving, cleaning the car or fixing a mechanical problem, your personal driver got this covered. They are experienced mechanics, and are passionate about what they do. All our drivers have comprehensive local knowledge, are well versed in the traffic patterns and most efficient routes to use in and around Kigali and able to function as a chauffeur taxi service to enable you reach punctually and safely wherever you are heading. Further more, our chauffeurs are very welcoming ready to drive you around Rwanda on a 24/7 basis. Our drivers are not experienced but also well trained about driving and these possess a valid driving permit/ hence have no issues with the law of the country. Lastly; Africa Holiday Safaris only charges a minimal fee of 40 USD per day for the Chauffeur/Driver which is quite an affordable cost compared to other drivers around Rwanda.